Hosted Exchange - what is it? Servers are an important tool to many businesses, largely because they support the important technology systems required to do business. While servers can host nearly every type of software solution, one of the most common is email and office support, of which Microsoft Exchange is widely considered to be the best. 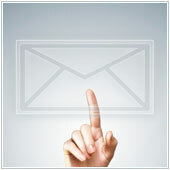 If you are looking into a new email solution, you have likely come across Hosted Exchange. The question many have however, is what exactly is it and can it help? Microsoft Exchange is first and foremost a messaging system. It offers businesses a number of services, including email, calendars, task management, address lists, and more. By integrating Exchange into your business, you can also gain the ability to access all of these servers from any location, on almost every device. Many companies that purchase Exchange will actually install it on servers that are usually in the office. The thing with this is that it can be a bit expensive, especially for smaller businesses, and the server needed to host it can take up space that a business may not have. Other companies simply prefer to operate on cloud-based systems. In order to meet demands, and offer a reliable product to companies of all sizes, many IT companies, including Microsoft, started to offer Hosted Exchange. How this works is your IT partner, who is your provider, makes space available on one of their servers. They then install Microsoft Exchange in a space which is only accessible to your company, over an Internet connection. 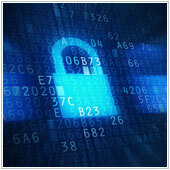 A provider is in charge of ensuring the data stored within is secure and accessible to the client, you, at all times. Many Hosted Exchange providers will also offer extra features like improved security, full-time management, and even data backup. In other words, Hosted Exchange is the cloud-version of Exchange and is often managed by the host company. You and your employees will still be able to access it as you would if it were hosted in your business, meaning there is no real visible difference. What benefits can Hosted Exchange offer? Like many other hosted services, the majority of Hosted Exchange services are offered on a monthly, per user basis and the host will take care of the maintenance and hosting. This makes your costs predictable as you will only have to pay a fixed fee. If a business were to tabulate the cost of purchasing a new server, Exchange and the other infrastructure required in order to use it, plus add in any expected maintenance fees, the total and per user cost will likely add up quite quickly. By going with a Hosted Exchange solution, you will pay a monthly fee only. For many small businesses this will usually be far less expensive than hosting an Exchange solution on premise. Add into this money saved on maintenance overhead and growth, and Hosted Exchange quickly becomes a service that can undoubtedly help reduce IT costs. If you were to implement Exchange in your office you would have to find space for the server, install the server and then Exchange, and then ensure that Exchange is installed correctly and working. Once it is, you will likely have to keep managing it and adding new accounts and users while reducing others. And if something happens, say the service goes offline, you will have to fix it. For many business owners, this is simply beyond the scope of their skills and time. If you go with a Hosted Exchange solution, your IT partner will usually take care of hosting – you won’t need to worry about a server – and will also manage and install it. This leaves you to focus on managing the solution, and if you don’t have time some providers can even take care of this as well. In other words, a Hosted Exchange solution is far easier for many businesses. If you are a fast growing company, and need to scale an Exchange solution, one hosted in house is often limited by the capacity of the server. While some businesses won’t go beyond this, others will. For those that don’t, an on premise Exchange solution will likely be perfectly useable. If your company is growing it may be tough to scale an in-house Exchange solution. With Hosted Exchange, you can usually just contact your provider and they can help ensure that the space and resources are available. The same goes for if you move offices and you will likely be up and running again as soon as you have an Internet connection. Looking to learn more about Hosted Exchange and how your business can benefit from it? Contact us today for a chat, we’d be happy to help. Recently, a server of a Texas health-care system was hacked, compromising the protected health-care records of approximately 405,000 individuals. The three-day attack, which took place in December of 2013 at the five-hospital St. Joseph Health System in Bryan, Texas, was one of the largest HIPAA security breaches ever, according to Department of Health and Human Services. It gave the hackers access to both patient and employee Social Security numbers, dates of birth, and addresses as well as confidential health-care information. Our computer systems need a high level of protection against harmful viruses, worms and other malware currently spreading like wildfire over the Web. 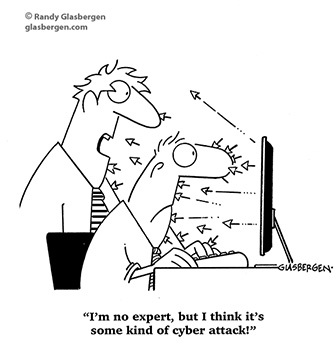 If you have a layered security or defense in depth strategy in place, then you’re probably well protected. 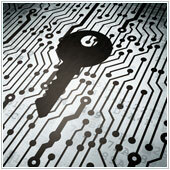 But if not, then our guide will surely help you protect your computer systems. Just like the human body, a computer system can also be attacked by many viruses that can infect and disrupt computer operations. And what's worse is it doesn’t just disrupt the operations of your computer, but these viruses and other malware can gather sensitive information or even gain access to other private and secured computer systems on the same network. If you’re running a business, regardless of whether you have physical premises or operate in a virtual world, you probably receive a continuous stream of emails every minute of every day and beyond. Because of this, many business owners have a hard time simply handling the sheer volume of emails. If you’re dealing with the same issue, then you'll probably welcome our top five tips to solving your email deluge problem. 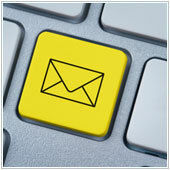 Notification sounds are helpful in letting you know you have received a new email - important or not. However, they can also be distracting if you're trying to concentrate. To avoid this, turn off new message notifications on both your Smartphone and computer, and schedule a convenient time to check and respond to your emails instead. This will not only improve your organizational skills, but will also give you peace of mind that you are focusing on tasks without neglecting your inbox. When you need help with your computers or computer network, I'm hopeful that you will consider calling: INFO-TEK @ 816.914.8826. Having Computer or Network Problems? · Predictable budgeting – all-inclusive, all-you-can-use, flat-rate IT services that include hardware and software. If you have found this Newsletter helpful, please pass it along. Remember, if you need help in implementing any of this month’s tips, contact us — we’re here to help. Click here to unsubscribe this to this newsletter. If there’s a different address you would like to receive this at, reply with the new address.